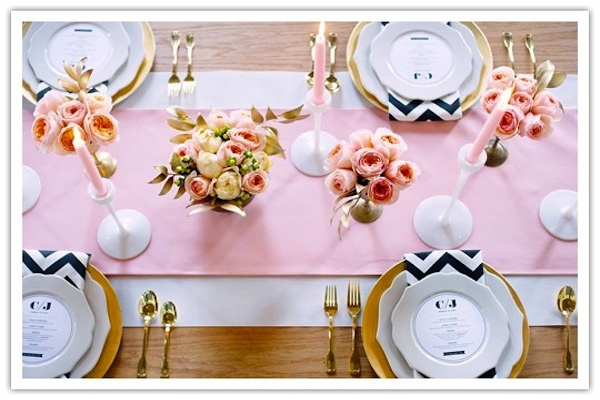 The Chevron Trend: Love it or Loathe it? 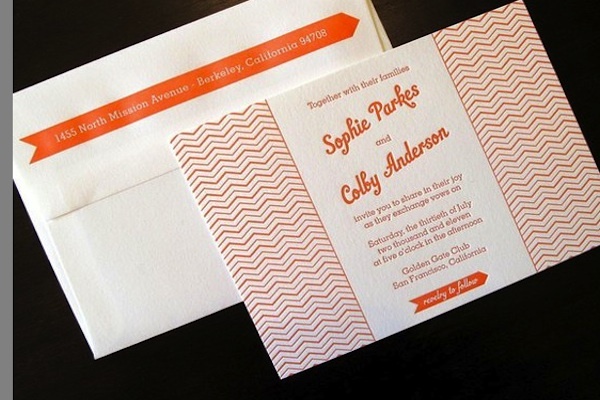 That repeating inverted V shape you’ve been seeing all over everything from invitations to backdrops? 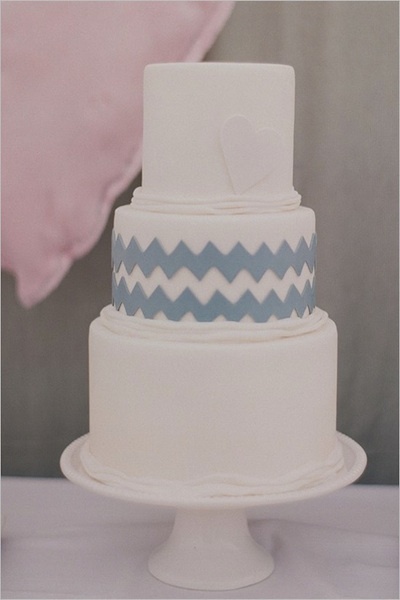 It’s chevron, baby! 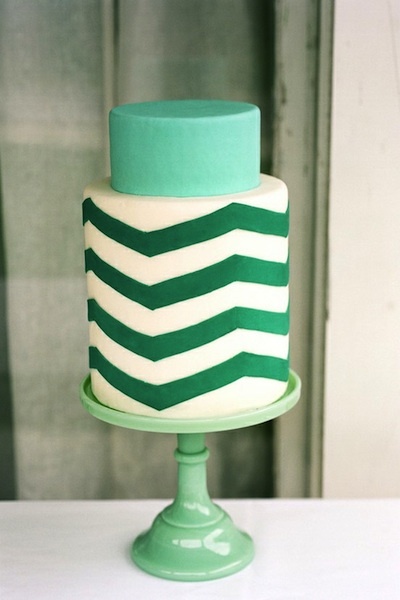 Chevron is a pattern that’s extremely popular right now, but has been appearing in early art as far back as 1800 BC (!). 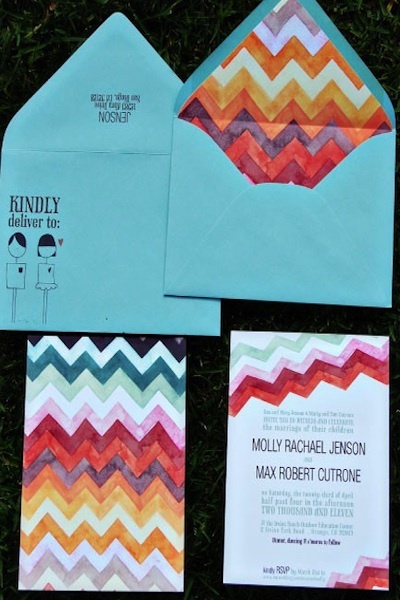 Chevron is a pattern that can be very vibrant and somewhat loud (which doesn’t have to be a bad thing) when it’s done with bright, deep colors, or can be more subtle and understated when done in a neutral or lighter color. 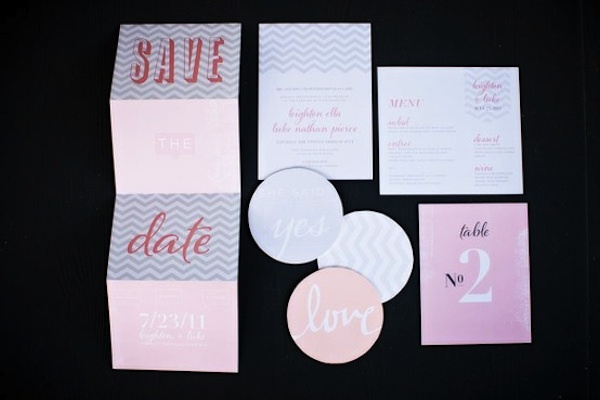 These chevron invites and save-the-dates all use different sizes, styles and color palettes showing how versatile this pattern can be and how many styles it can adapt to. Another great feature of this graphic pattern is that sometimes you only need a little bit to make an impact. 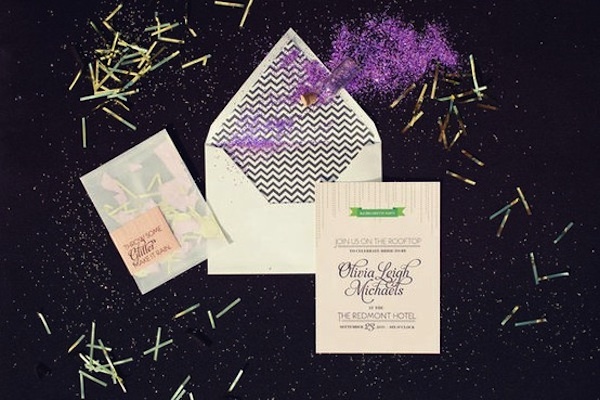 Here chevron was used as an envelope liner and adds a pop and sophistication to the fun invites. 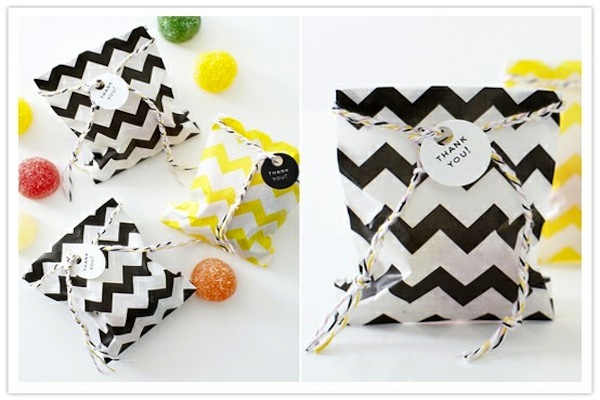 Chevron is also a fun pattern to use to help make simple favors look more visually interesting. Both the favor bags’ and succulents’ looks have an added element of style and fun that they wouldn’t if only solid colors had been chosen. 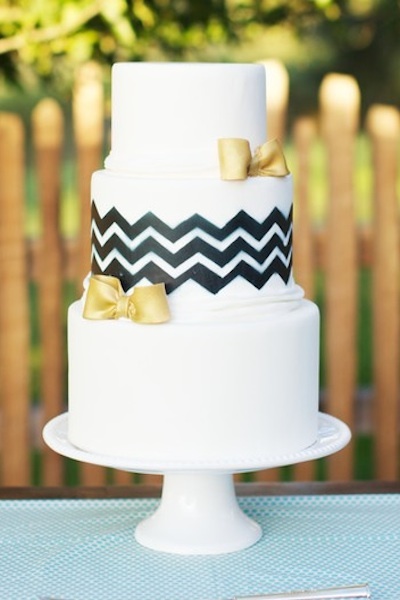 I am absolutely in love with these simple, modern and sophisticated chevron inspired cakes. 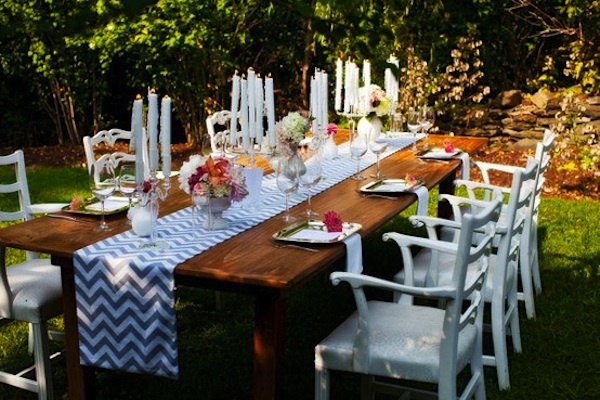 Using the pattern on your napkins or a table runner helps the centerpieces to not be the only focal points of the tables. 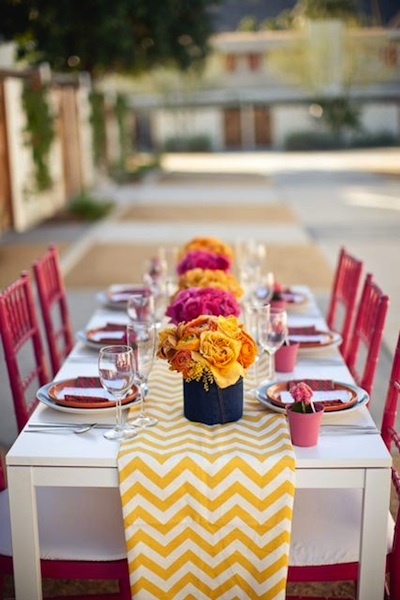 By buying several yards of a chevron patterned fabric in colors and widths that you like you can make your own runners and napkins that can be gifts or great keepsakes after your wedding. 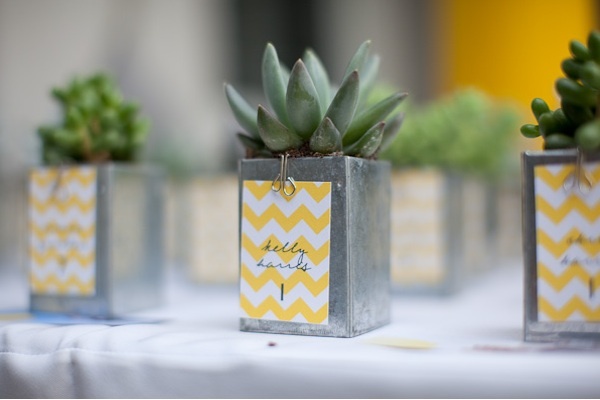 While the chevron can be busy, it’s all about the way you choose to apply it. The examples shown here all make an impact, while not overwhelming the eye. 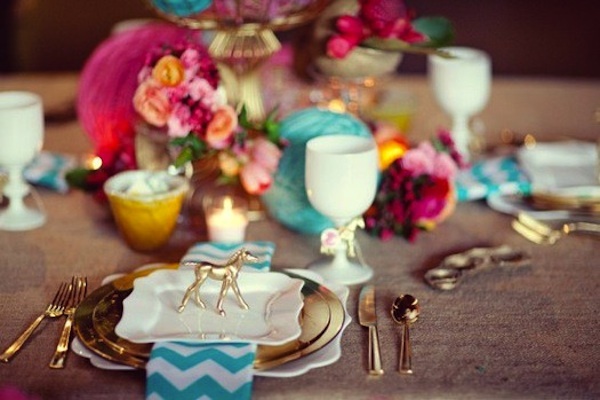 If you want to use this pattern in your wedding, make sure that you use it sparingly and use it to tie together the rest of the look and decor from your big day.